The Making a Difference Foundation and Project C.U.R.E. are heading to India to bring health and hope to the Sielmat Hospital in Manipur. Manipur, India is on the border between Bangladesh and Myanmar. Sitting at 2,500 feet above sea level and surrounded by blue mountains, oval shaped valley, and vast beauty. Manipur is also home to the beautiful Taj Mahal. With over 1.25 billion people, India is the second most populated country in the world. Making this area of the world extremely diverse in culture as well as access to affordable healthcare. India’s healthcare has been ranked 112 out of 190. Those that live in rural India have little or no access to hospitals or clinics. Project C.U.R.E. will be bringing together medical volunteers from a variety of specialties to help meet the medical needs of this community. 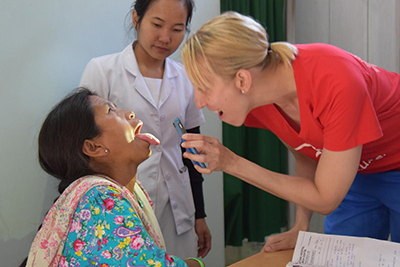 While there is a clinic in Manipur, the local hospitals and medical professionals are looking forward to mentoring and training from western volunteers. 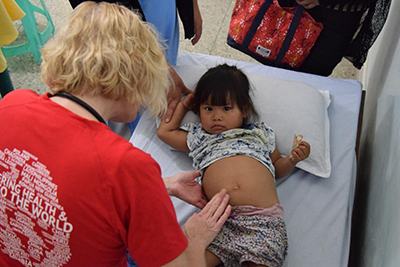 The program cost for this trip included in-country accommodations and transportation, clean water, translators, medical license transfer, and evacuation insurance. Small touristic excursions and activities are also included in the trip. If you are interested in more information, or would like to apply for this trip, please submit a trip interest form. We do have a Financial Assistance Grant if you need help to participate in this mission.